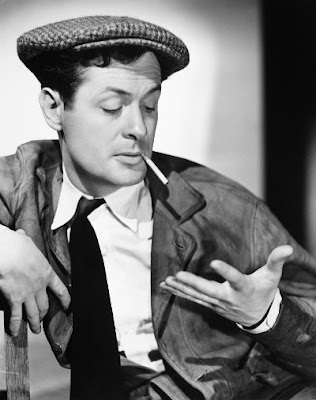 Classic Montgomery - Film thoughts from a modern-day Robert Montgomery fangirl: Happy Halloween - "Night Must Fall"
Happy Halloween - "Night Must Fall"
This post will focus on the two stars of the film, Robert Montgomery and Rosalind Russell. Rosalind Russell (Olivia Grayne) Born Catherine Rosalind Russell on June 4, 1907 in Waterbury, Connecticut. After working as a model and on the stage, Russell moved to Los Angeles in the early 1930's. She was hired initially by Universal Studios but was unhappy there. She set her sights on MGM and was given a contract there where she played mostly sophisticated "other women" at first. 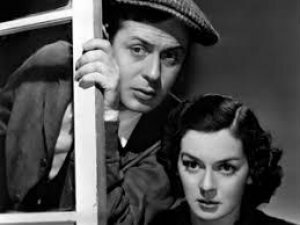 "Night Must Fall" was a welcome change of pace for her and she worked well with Robert Montgomery. 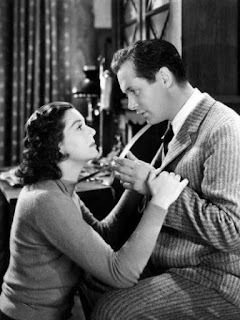 They had already starred together in 1934's "Forsaking All Others" and in 1936's "Trouble for Two". 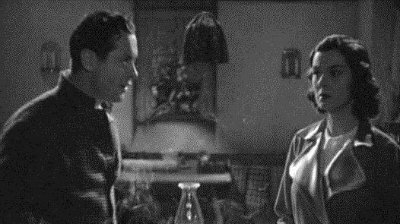 She went on to do "Live, Love and Learn", also in 1937, and in 1939 she and Montgomery starred in "Fast and Loose". 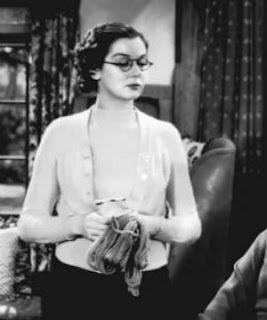 She also was one of the stars of 1939's "The Women" and was able to show what a wonderful comedian she was. This was showcased in 1940's "His Girl Friday" with Cary Grant. Russell's career continued into the 1970's. She died November 28, 1976 at the age of 69. Robert Montgomery (Danny) As most of you already know, Henry Montgomery Jr. was born May 21, 1904 in Fishkill Landing, New York. Having seen the stage version of "Night Must Fall" on Broadway he was determined to play Danny on film. Having been pigeonholed by MGM as a light romantic lead, L.B. Mayer was not interested in casting him in such an unusual dramatic role. Montgomery badgered Mayer into doing the film and giving him the role. Some say Mayer (who was not particularly fond of Montgomery) did so hoping he would fail in the role. Just the opposite was true as Bob was nominated for an Academy Award for his work. His performance was remarkable. He was so charming and yet so sinister. He could be conflicted to the point where you feel sorry for him and turn into ice cold evil when Olivia confronts him as being the murderer. 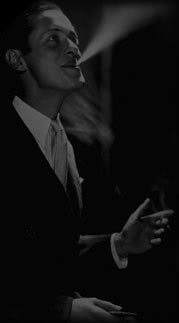 Montgomery had a long career in Hollywood (in film), in New York (in television and directing on Broadway), and also in the Navy during during WWII. He died on September 27, 1981. He was 77. "Night Must Fall" is a wonderful film. It was one of the first psychological thriller and will remind you of Hitchcock's work. In my opinion, the stage play actually did a better job of focusing on the relationship between Danny and Olivia. She is afraid of him and suspects that he is a murderer but at the same time is attracted to him. She at one point feels sorry for him because it is obvious he is disturbed and afraid of what he has done and that he might get caught. She goes as far as lying for him at one point. The end of the play has her trying to take the blame, but he won't let her. He even kisses her goodbye before the police take him away though he had just earlier told her he was going to kill her. All that has changed in the film. I guess MGM couldn't abide such a strange relationship and had to clean it up with the ending they came up with. It would have been much more effective had they stuck to Emlyn Williams story as written. This was the film that turned me into a rabid Montgomery fan. And, as I jokingly like to say, if you can fall in love with a guy carrying a head in a hatbox, well, that's some actor!!!! Hope you have a Happy Halloween, and do yourself a favor and watch "Night Must Fall"! Debbie: Thanks for filling in for me the past two weeks ... truly enjoyed the break, as well as your NMF series. Particularly enjoyed reading about the changes to the ending, not having realized the extent it was changed re Danny and Olivia. And Bob and Roz certainly could have carried it off, two excellent actors who worked so well together. Bob's Final Scene ...on the Cutting Room Floor! Another Mystery Solved ... MGM Did Not Do It!